I know very little about woodworking, but I am trying to learn. Unfortunately I don’t have anyone to teach me & need to rely on learning through he internet (as scary as that is). I find that reading posts can be very helpful, but sometimes just confuse me more. I am hoping to get some purchasing advice. 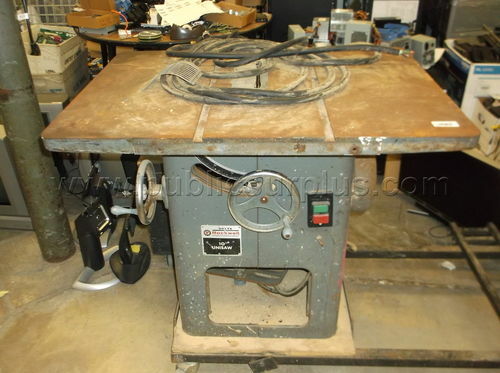 I know I want a table saw. 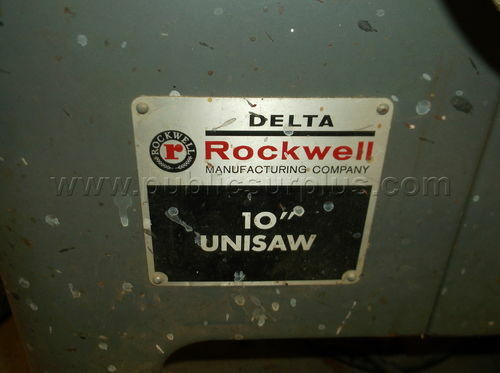 I came across a loca auction for a Delta Rockwell 10” unisaw. Unfortunately, it comes as is. It looks like it needs a new cord, but otherwise I don’t know anything. geable newbie, but I don’t want to pass up something good or spend money on a giant paperweight. Thanks! Any advice/suggestions are appreciated! Can anyone tell me if this is worth bidding $75-100? Hell yes. Unfortunately, with that bid, you probably have a slim to no chance of winning. 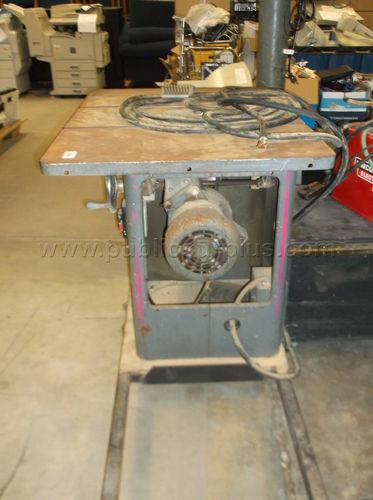 If the saw runs and has a good fence(I don’t see one in the photo) you could bid up to $400 and still be pay far below market price, but only if it has a fence. You Should know a couple things first like what kind of power it runs on 110volt or 220 volts single phase or 3phase. 3 phase machines sell for at least 25-50% less. Thanks for the fast replies. It is currently at $50, so it might be possible to get it under $100. I can get a fence (or 2) for free. My mom’s husband passed away and has a couple clamp style fences. Would this work? Unfortunately he was the one the was going to teach me. I’ve messaged the seller to ask about the power. If you could get it for $200 or less I would think that gives room for some repairs like bearing replacement or, as mentioned the motor, but I’m betting that’s a 3 phase motor. Something to consider…....you will need a phase converter or a single phase 3HP motor. Any Beisemeyer type fence should work well. Good luck. I’d think ~ $200ish is a pretty safe range financially, because the wings, hand wheels, or other parts are probably worth close to that. If it’s 3-phase, you’ll need to invest in a VFD or converter of some sort. Something like a Delta T3 fence is around $200. If you’re up to some TLC, go for it. I am a woodworker, not a machine rebuilder. That saw is going to take a lot of work and I would rather be doing woodworking. Therefore, it is near worthless to me. There is a huge group of people who like to rehabilitate old machinery. If you are one of those then it could be worth much more than you stated. I am a woodworker, not a machine rebuilder. That saw is going to take a lot of work and I would rather be doing woodworking. Therefore, it is near worthless to me. Being a ‘woodworker’, does that mean that you don’t occasionally perform maintenance on your machines? Do you instead call someone in (or ship it out) and pay them to do it for you? Or do you just buy a new one when something needs attention? Just saying. Thanks everyone! I’m amazed at how much you all will support a stranger. The auction ended at $152, which was a little to high for me and my lack of knowledge. Also, was a phase 3, 220 volt. I have learned that it is better to save up for a decent table saw and avoid the junk!